Firefighters keep watch as the Holy Fire burns Aug. 9 in the Cleveland National Forest in Lake Elsinore, Calif. Researchers have expanded a health-monitoring study of wildland firefighters after a previous study found season-long health declines and deteriorating reaction times. BOISE, Idaho – Randy Brooks’ son had a request three years ago: What could his dad do to make wildland firefighting safer? 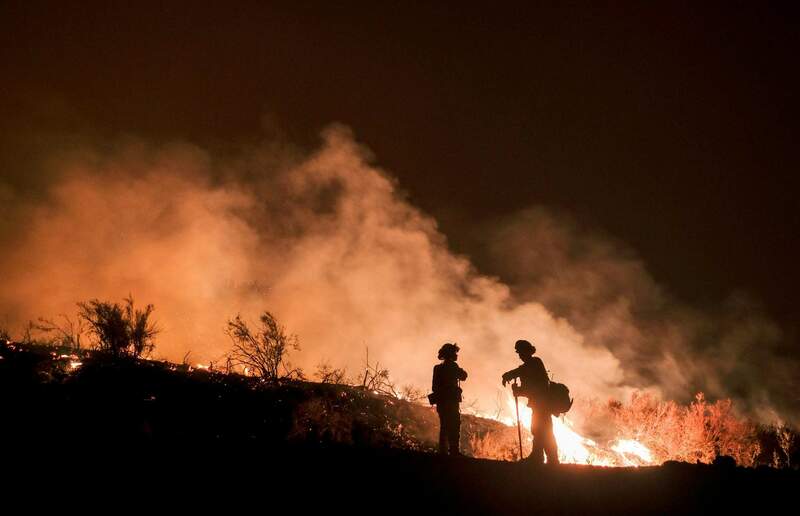 About 19,000 firefighters are currently in the field fighting nearly 40 large wildfires. Fourteen firefighters have died this year as wildfires have scorched about 3,500 square miles and destroyed about 3,000 homes.